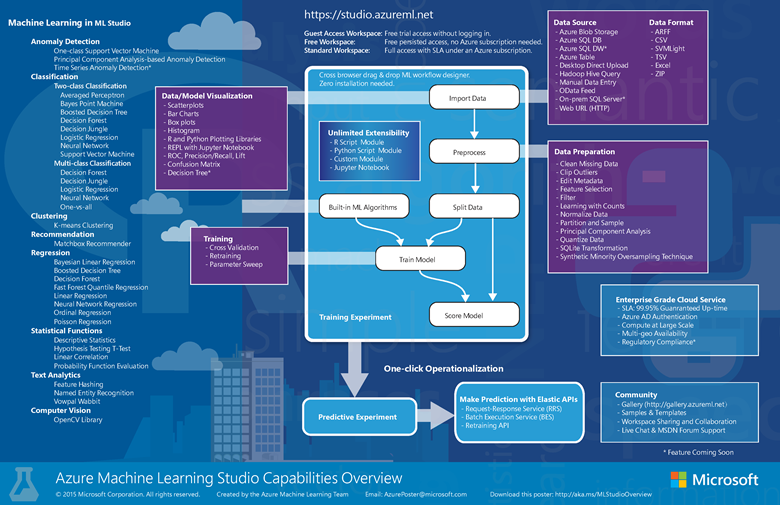 Download the Microsoft Azure Machine Learning Studio Capabilities Overview diagram and get a high-level view of the capabilities of Machine Learning Studio. To keep it nearby, you can print the diagram in tabloid size (11 x 17 in.). 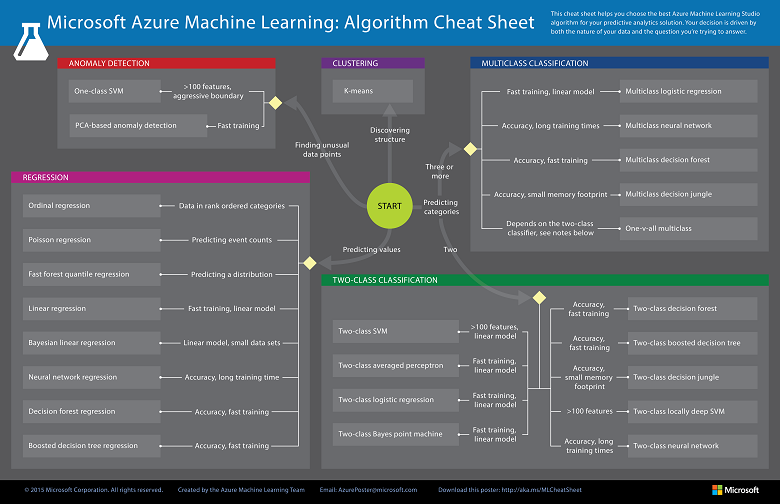 Download the Azure Machine Learning Algorithm Cheat Sheet and get help figuring out how to choose a machine learning algorithm for your solution.